An open floor plan design for a business can make space seem much larger than it is in actual square footage. The less-confining feel and ability to add more decorative touches can help you design work areas that are more inviting and promote teamwork. How do you go about making the decision to go with an open-space design? Do you find that many of your employees spend time in the offices of others consulting and teaming up on projects? Is more time spent in break areas doing work-related activities than relaxing? 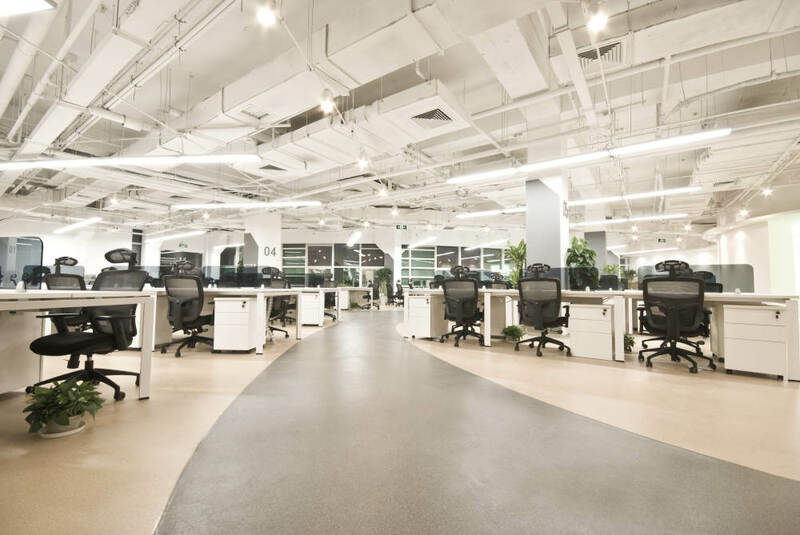 Your business might be ready to lose the individual, confinement space look and feel and gain an open floor plan design. Would Your Daily Operations Benefit from an Open Environment? Is your potential productivity hindered by not having an open environment that encourages teamwork? The social nature of social media has made it an almost prerequisite for co-workers to communicate during the day in some form or fashion. You can use this to the advantage of work productivity by building it into the basic design of offices, break areas and open locations of shared seating. Tasks that can seem stressful can be made more pleasant by building a relaxing atmosphere. Use brilliant colors, comfortable seating, tons of window views, and ample table space to invite a cooperative environment. Little changes to the environment that make it seem more open and inviting help to alleviate work-related stress. Creating nooks and comfortable seating areas to use laptops and congregate for unofficial meetings automatically increase the potential for teamwork. Give each area a unique look and feel so that the variety of people that tend to work together can choose their preferred locations. It’s a more desirable alternative to stuffy offices or cubicles. Reserve a few quiet, private areas for those that work better on their own or are in need of temporary solitude to complete an assignment without distraction. Call on the design and commercial building experts at Murphy Construction and find out more about creating an attractive open environment for your business. We handle everything from total remodels to new commercial builds throughout the High Desert area of Southern California. Make the changes you need today to boost your productivity! Is Smart Technology Best for My New Home?